The Jae-gyun Hwang era was a short one in San Francisco. On the eve of September call-ups, Henry Schulman of The San Francisco Chronicle reported that the Giants designated the 30-year-old infielder for assignment to clear a 40-man roster spot for catcher Tim Federowicz. Hwang signed with San Francisco during the offseason after spending the first 10 seasons of his professional career playing in the Korean Baseball Organization. Hwang rose to stardom in South Korea, but left to pursue his dream of playing in the Major Leagues. 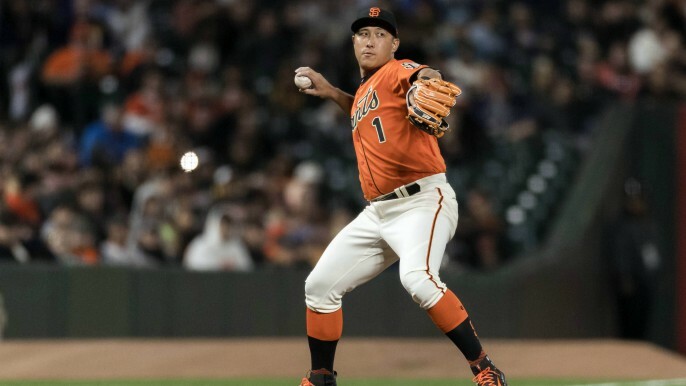 After a strong Spring Training, Hwang began the year with the Giants’ AAA-affiliate, the Sacramento River Cats. In late June, Hwang received his first promotion, and clubbed a home run in his first Major League game to help lead the Giants to a win over the Rockies. It turns out, that was the only home run Hwang hit with the Giants. He wound up going 8-for-52 in his opportunities with the Major League club, and was demoted back to AAA Sacramento on two separate occasions. The decision to designated Hwang for assignment will prevent them from adding a right-handed hitting third baseman to the Major League roster in September, as starting third baseman Pablo Sandoval has struggled against left-handed pitching. Schulman reported that Federowicz, infielder Orlando Calixte, right-handed pitcher Derek Law and left-handed pitcher Steven Okert will form the first group of September call-ups for the Giants.